We've been providing affordable, professional voice over productions to companies since 2005. Our telephone audio service is a one-time payment offering the same quality audio as contracted services at a fraction of the cost. We provide one-off on-hold productions so there's no ongoing monthly contract. Pay once and use it forever. No ongoing payments and no hidden costs. A straightforward on-hold audio service with no sales calls and no pressure. If you have your own on-hold system there is no need to enter a costly contract for your audio requirements. With our competitively priced on-hold messaging service you could save on average about £2500 over 3 years. We have a guide that may be helpful when it comes to the task of writing your script. Choose from a variety of curated voice overs to record your on-hold messages. 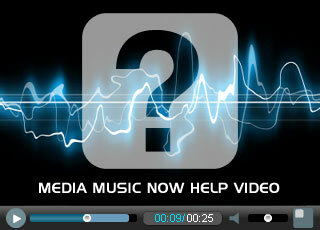 Choose from a selection of pre-licensed background music. No PRS or PPL fees. Pay once and receive your audio within 3 to 5 working days (subject to availability). We are specialists in audio production and deliver phone prompts and on hold marketing messages to put on your existing telephone system. No contract and no hidden costs; just professionally produced telephone audio for a one-time payment. "On hold messaging service that could save you £2500 on average." Whether you need multiple IVR menu options, out of hours messages or on hold messaging we have a telephone audio package to suit your requirements. Our telephone audio is as good as any contract-based competitor. We just demystify the process and provide an affordable pay as you go alternative. "We don't add the expense of sales reps, account managers and lengthy contracts. We simply provide top class voice over, audio production and music on hold free of PRS, BMI or ASCAP fees." Typically it takes us 3 to 5 working days from receiving your order and ready to record script. Can I get a free on-hold demo? We don't offer a free on hold demo. We simply provide a professional one-off audio production for a fair one-time fee. There are companies that offer you a 'free' on hold demo, 'free' script writing, 'free' updates etc, the cost of which is recouped by getting you into a lengthy contract. Although we don't offer a free demo, you can hear the quality of our voice over demos. What if I need to update my audio at a later date? We can provide you with a quote to update or redo your audio anytime. Please get in touch. Can I choose music from your Royalty Free Music Library or only from your On Hold section? The music in our on hold music section is pre-licensed, which means we can mix it with your on-hold messages without charging an additional music license. Also, this smaller selection of music is not in a PRO such as ASCAP, BMI, PRS etc. so you won't have to pay these agencies a fee for playing music on hold. You can use music from our library if you wish but there will be an additional license cost and not all of it is PRO free. The standard format we provide audio files is .wav (mono 44.1kHz 16-bit). However, we can provide other format specifications if required e.g. alaw, ulaw, mp3. The audio files are delivered to you via download. Sure, if you have a piece of music that you have licensed elsewhere we will be happy to use that instead.